Sharpsville Container is an experienced manufacturer of bulk fluid storage tanks. Our storage tank options range from low to high pressure, a variety of stainless steel alloys and both ASME and non-coded tanks. We design and build custom storage vessels, both vertical and horizontal, with a wide variety of fabricating capabilities. With a variety of tanks available, we will help you find the right storage tanks for your business’s unique needs. Surge tanks have key uses in industrial, municipal and well water systems. Their primary purposes are controlling water hammer shock and water surge during pump shut-downs and start-ups. The surge tank serves as an area to absorb jumps in pressure to keep other parts of the system from taking that extra pressure. It prevents damage to other components of the water system. At Sharpsville Container, we manufacture custom surge tanks to your unique specifications. Whatever the application is, we will work closely to create a solution that best fits the needs of that system. We work on the design until you are fully satisfied with the final product. You can customize your surge tank in many ways. You can choose the right size of the surge tank, its shape, the foundation and mounting options, the exterior finish of the tank and more. You won’t find this level of customization with other surge tank manufacturers. We recognize that surge tanks are necessary for a wide variety of applications. With so many different uses, only providing a few options means you cannot meet the needs of every client. 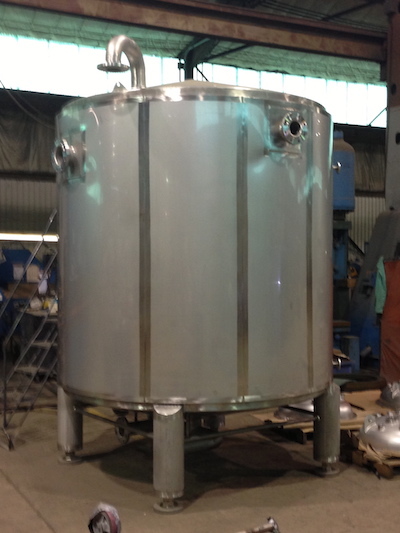 Our goal is to design and create the perfect surge tank for your business’s needs. You can choose between a horizontal fluid storage tank and a vertical fluid storage tank when you are customizing your design. Each has its own set of advantages and has scenarios where it is the better option. With a horizontal fluid storage tank, there are a few reasons you may choose it over the vertical design. If space is an issue, horizontal tanks fit in tighter spaces better than vertical tanks. Horizontal tanks also work better while being transported and are more efficient at heating or cooling the liquid inside them. When you’re considering a vertical tank, it also has certain advantages over a horizontal tank. A vertical tank is more stable, distributes pressure more evenly, is less expensive to install, has better energy efficiency and takes up less floor space than a horizontal design. If you’re having trouble choosing between horizontal and vertical fluid storage tanks, you should consider a few different factors. Factoring in your budget, transportation needs, storage space and more will help you make the right decision. Our team at Sharpsville Container is ready to consider your unique needs to help you design the right bulk fluid storage tank. Whether you have a clear idea of what you need or would like more help making the right decisions, we’re prepared to design the perfect fluid storage tank, vertical or horizontal. When you choose Sharpsville Container to manufacture your custom fluid storage tank, you’ll enjoy a variety of benefits. 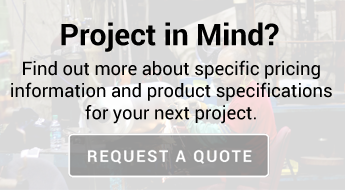 We have more than 65 years of combined experience and can create the right design for your unique needs. Whether it’s for a municipal, commercial, industrial or well water systems, we will create an effective and customized fluid storage tank. To learn more about our fluid storage tanks or to request a no-obligation quote or estimate, please contact us today! We also encourage you to browse our wide selection of other products.